Artarama always features live music for your listening pleasure as shop. 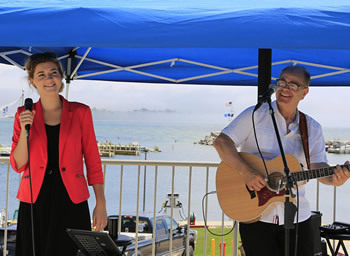 Or, take a break, have a snack, lunch or beverage, and enjoy the unique, dynamic music variety performed by Russell and Elsa of Skippin Stones. A fun, upbeat duo from the Minneapolis area.